Welcome to a new Artisan Design Team Blog Hop! This week you are giving you the details about the projects that will be featured on the Stampin' Up! Facebook tomorrow. All of our projects this week are also showing off the new Host Stamp Sets. That means you can get these stamp sets for free with a qualifying order! The host set that I used is called Silhouettes & Script. This is a really fun and playful stamp set! I used the little "Hello" sentiment to make a background on this note card. Using Tip Top Taupe as the base color allows for the other colors to really pop. Layering the vellum underneath the focal point tones down the background enough to keep it from being a distraction. The little bits of ribbon and glimmer paper are fun textures on the card. The cards are a lot of fun and are perfect for custom envelopes with the wood grain pattern from the In Color Envelope Paper. I went on to make four more cards using the other images from the stamp set. Again, I used Tip Top Taupe as the primary color and used two of the other new In Colors for a fun pop. As you can see, one of the great things about this set is that you can make a variety of cards! 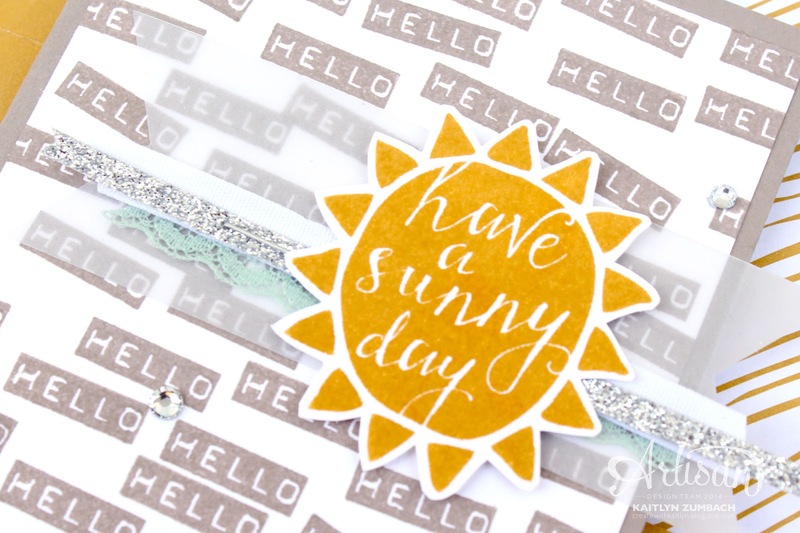 Be sure to continue along the hop to see more great projects using Host Stamp Sets! Love love love these cards!! Great idea for the background--would've never thought of that! Ooh! Love how you did the backgrounds! So Cute!